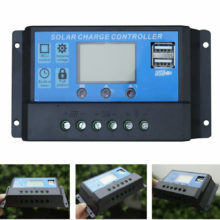 Solar charge controller is especially designed with high-performance, efficiency and excellent quality. 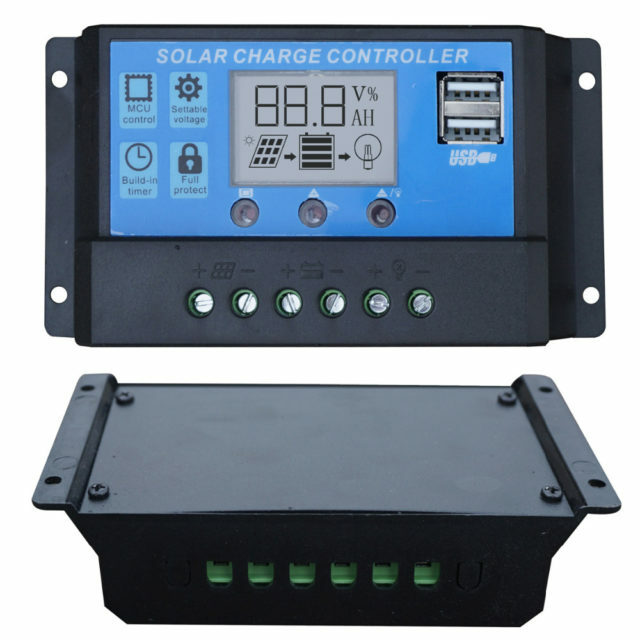 These controllers are designed for home solar power systems and small solar power stations. Specially having USB charging mode. It convenience for charge 500mA loadings. compared with non-PWM charging.Having the protection functions as overcharging, over discharging, overload, short-circuit and reversed connection. during a specified test in which it is exposed to vertically or nearly vertically dripping water. 2. 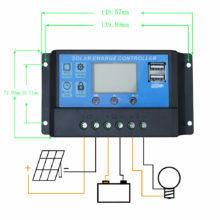 12/24V battery automatic detect. 3. 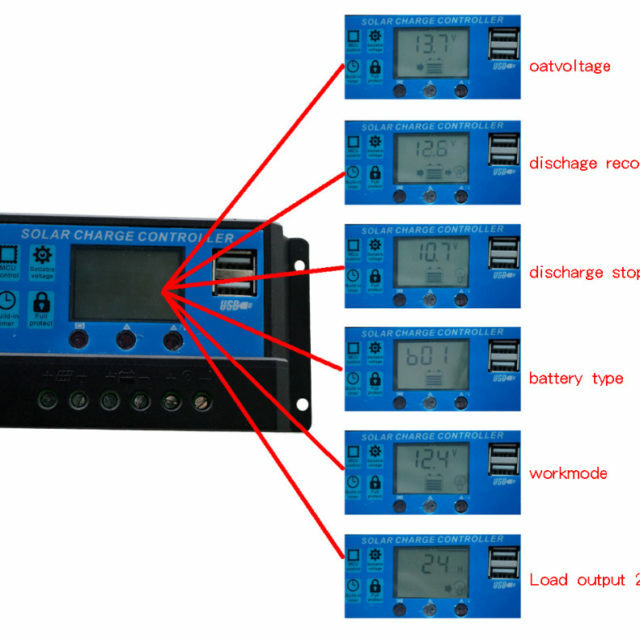 PWM charging available,3-stage charging algorithm: impulse, bulk and float. 4. Protection:Reverse battery pole connection protection, Lightning protection. 5. 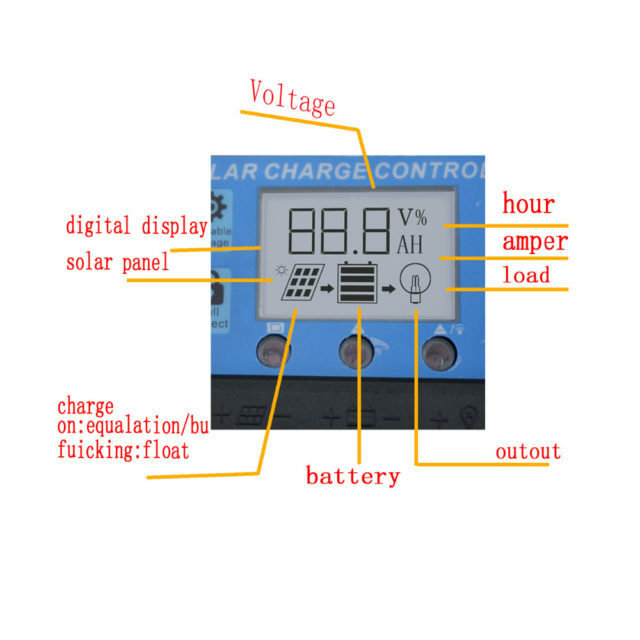 LED display shows system status at all times. 1. Make sure your battery has enough voltage for the controller to recognize the battery type before first installation. 2. The battery cable should be as short as possible to minimize loss. 3. 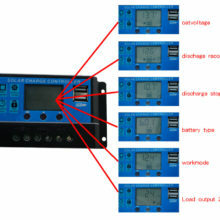 The regulator is only suitable for lead acid battery: OPEN, AGM, GEL. It is no suited for nickel metal hydride, lithium ions or other batteries. 4. 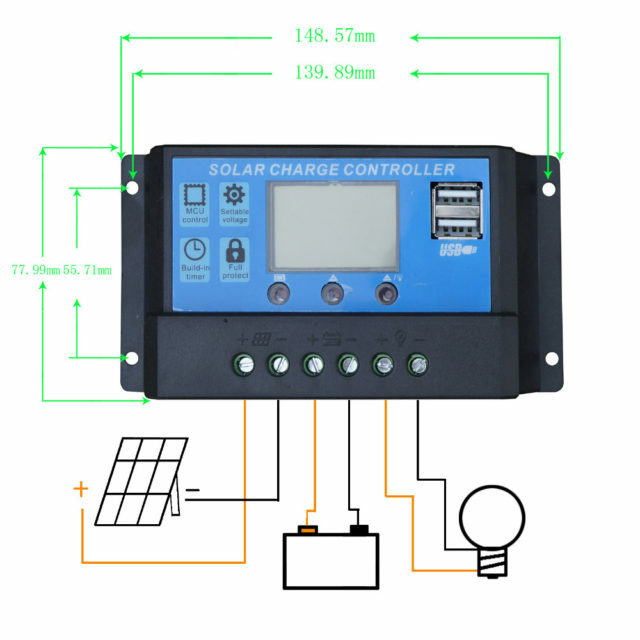 The charge regulator is only suitable for regulating solar modules. Never connect another charging source to charge. 1. All goods are in stock, the transaction will be handled within 1 business day. 2. Items will be sent out within 3 days after we received your payment. taxes, duties,these will be charged to buyers. If it shipping from our EU, USA,AU,RU stock, it will no tax and duty. 4. Please note us your contact details include your phone number for easy contacting from express guy. Thank you for your kindly understand. please contact us before leaving feedback. All items must be issued an RMA number before they returned. The shipping cost of return goods is to be paid by the Buyer. 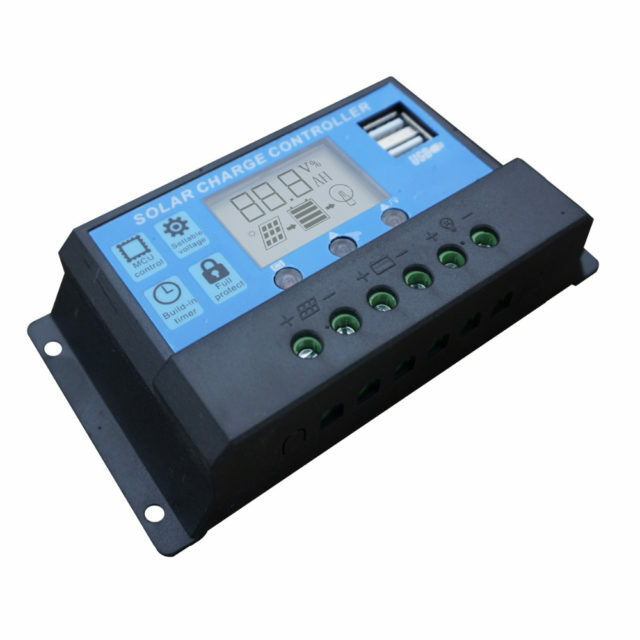 It’s have 12 months Warranty from the date of purchase covering manufacturing defects. This warranty excludes any damage caused by the human. 1. Please check the package and item carefully to make sure there is no problem . we will resolve the problem to satisfy you. 4. If you are satisfied with our product, kindly leave full-stars ( ) and good feedback for us. Your feedback will encourage us do it better in the further. Thanks! supply high quality products and better customer service. Now the products have exported to Africa, Europe, America, some Middle East countries and some Asia countries. We would like to be your best supplier in China. Prenumerera på vårt nyhetsbrev för uppdateringar, erbjudanden och kuponger.